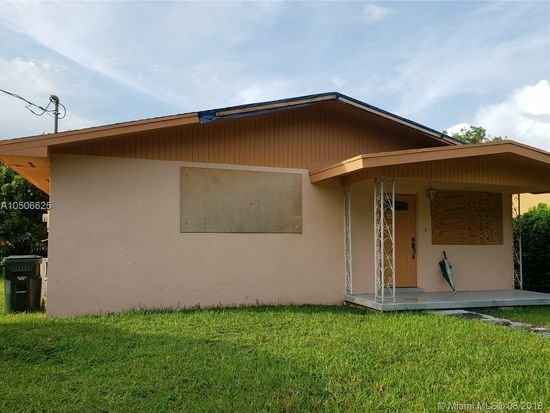 ~Make this diamond in the rough yours~ Great location, less than one mile from University of Miami and downtown South Miami and close to shopping and dining district of Coral Gables. Close to South Miami Hospital. Recently remodeled Kitchen with new stainless steel appliances and granite countertop. Recently tiled throughout except bedrooms. One bathroom updated. The property is being sold as­’is and needs a new roof and related repairs due to roof leak. Great for Rehab investors or as a starter home. Comps are selling from 365k-550k Pending violations will be paid by the Seller! This is an excellent property because of its location. Priced to sell. Don’t let this one get away.